Norman R. H. Young founded the law firm of Young, McNamara in 1965 with his partner, John McNamara. Just eight years later Mr. McNamara passed away. On December 14, 1967, Norman Young was appointed as a Deputy Magistrate for the Province of Ontario, and was subsequently appointed as a Provincial Court Judge who presided in this capacity in the County of Haldimand, County of Welland and the County of Lincoln. Mr. Young resigned in 1974 as a Provincial Court Judge and returned to his full time practice in Thorold. Norman R. H. Young B.A., LL.B., Q.C. passed away January 3, 1999. J. Christopher Young was born in Thorold in 1959. Chris obtained his B.A. at St. Thomas University in Fredericton, New Brunswick. He later received his Bachelor of Law Degree in 1984 at the University of New Brunswick in Fredericton. Thereafter, Chris went on to obtain his Masters of Law Degree from Cambridge University in England. J. Christopher Young joined the law firm of Young, McNamara. in 1985, and at this time he is the sole practitioner of the firm. Mr. Young's administrative support staff has a combined total of over 65 years of experience to offer you. 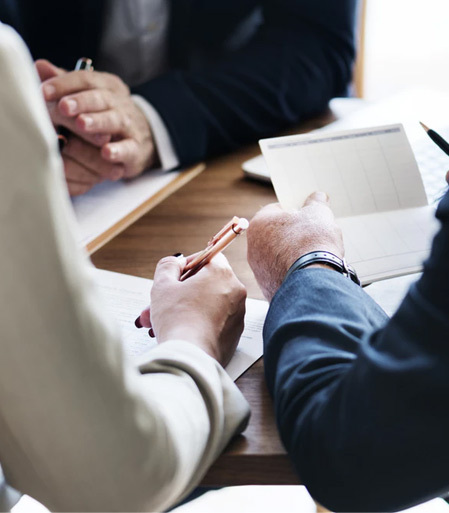 Our office is comprised of three departments, so that Mr. Young's assistants can specialize in their area of law and therefore are able to pass their expertise and knowledge along to you. The three departments include, Litigation and Family Law; Corporate Law and Estate Planning; Real Estate and Mortgages. Their experience and knowledge allows them to provide you with superior service in all your legal needs. They are committed and dedicated to expediting their services in the most timely and cost effective manner.